The tooth fairy will be certain to find those tiny teeth when placed inside one of our unique teddy bears or rag dolls. 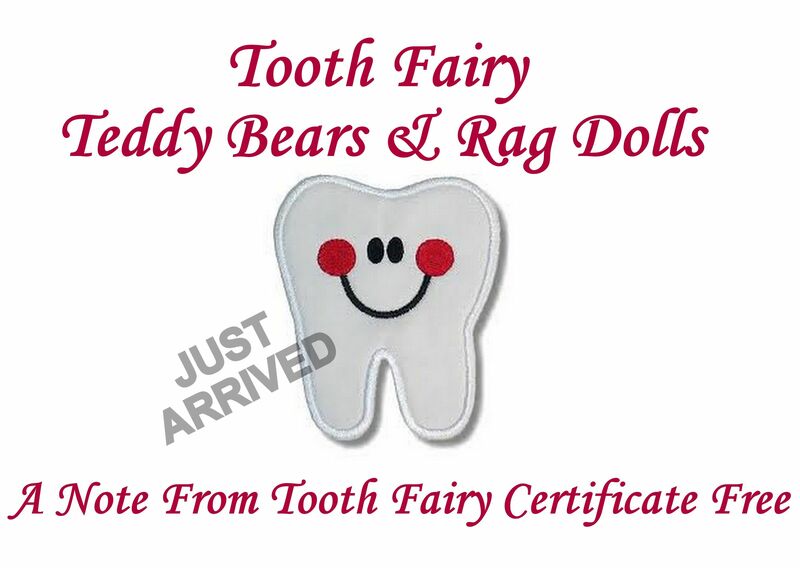 Our tooth fairy teddy bears and tooth fairy rag dolls are specially designed with a pocket on the front of their top and a little bag to hold the tooth. A standard message is embroidered on the front for the tooth fairy and you can also have the back of the top embroidered for a more personal message (this is optional). Our tooth fairy bears and dolls can be cherished for many years and passed from generation to generation.